Padmavati: Ranveer Singh Breaks Silence On The Continous Protests And Open Threats! Home BOLLYWOOD Padmavati: Ranveer Singh Breaks Silence On The Continous Protests And Open Threats! 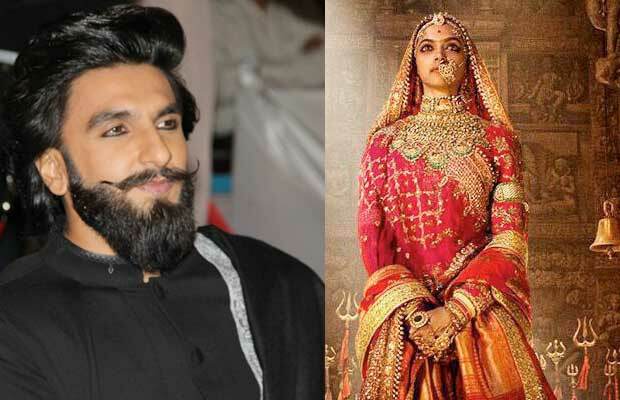 Padmavati star Ranveer Singh has reacted on the open threats that the makers and the cast of the film is getting! The protests against Padmavati have crossed all the limits as the makers and the cast of the film are getting open threats from a few people around the country. The cast of the film has already spoken on the matter expressing their opinion. But Ranveer Singh had been silent all this while. On one hand, Meerut youth announced a bounty of Rs 5 crores, on the other hand Haryana BJP Chief Media Coordinator Suraj Pal Amu raised his amount to Rs 10 crores for doing the same thing. Previous articleBigg Boss 11: Lovebirds Puneesh Sharma And Bandgi Kalra Get Into Fight Over Hina Khan- Watch Video! Next articleAfter Madhya Pradesh And Punjab, Padmavati To Be Ban In Maharashtra?